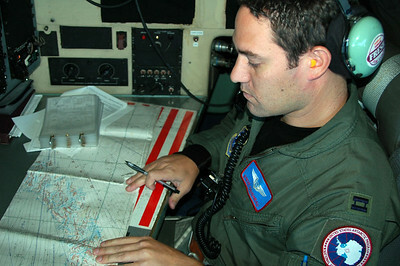 Four months of working at the South Pole. 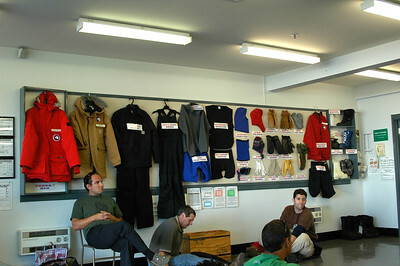 CHRISTCHURCH, NEW ZEALAND: In Christchurch we get briefed on the Extreme Cold Weather (ECW) clothing that will be issued to us while we're in the Antarctic. The options are all on display on this wall. We only get one pair of boots. I chose the blue ones. CHRISTCHURCH, NEW ZEALAND: Matt and Arik try on all their ECW clothing. 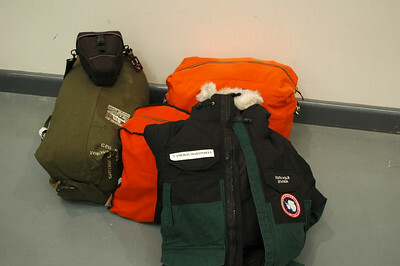 CHRISTCHURCH, NEW ZEALAND: Extreme cold weather gear issue to head to the Antarctic. 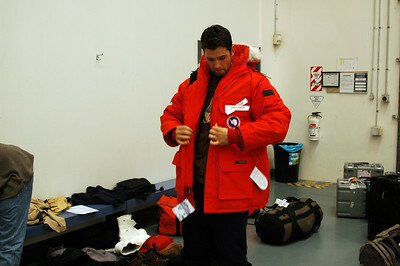 Bryan tries on his heavy parka. 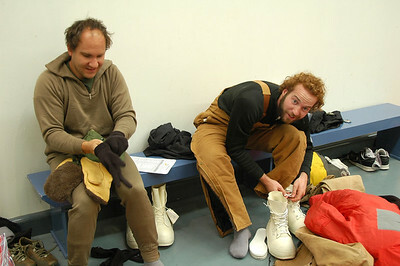 CHRISTCHURCH, NEW ZEALAND: Another Bryan works on a new cold weather look with boxers. 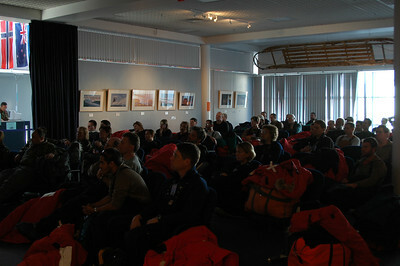 CHRISTCHURCH, NEW ZEALAND: The next morning we're in the Antarctic terminal watching another safety video before we head out to our flight to Antarctica. CHRISTCHURCH, NEW ZEALAND: Here's my kit! Three bags a heavy parka and my camera. 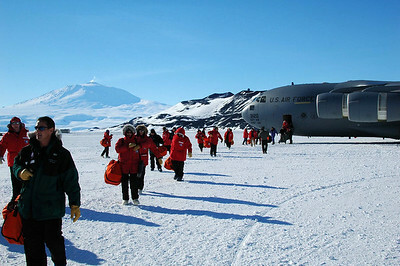 All ready to fly to Antarctica. 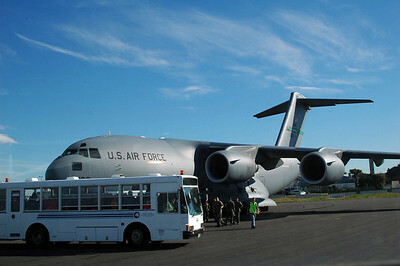 CHRISTCHURCH, NEW ZEALAND: C-17 Globemaster III Safety Briefing: "And another exit is here..."
CHRISTCHURCH, NEW ZEALAND: It's a little warm to be wearing all of our ECW, but we have the base layers on and the outer layers in our shnazzy orange bags. 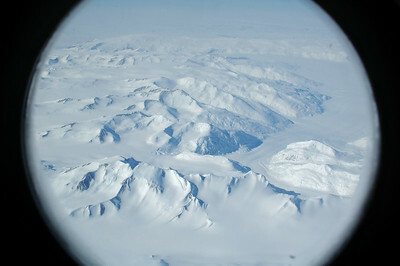 ANTARCTICA: Our first view of the Antarctic as we fly in from New Zealand. 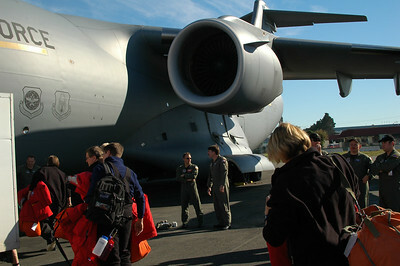 CHRISTCHURCH TO MCMURDO, ANTARCTICA: All packed in with the cargo! These seats had some of the best legroom I've ever had on a flight. 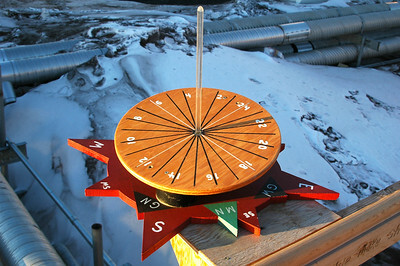 MCMURDO STATION, ANTARCTICA: Look at that! It's 10pm and the sun is still up. Time for bed to be ready for a 7am flight tomorrow morning. 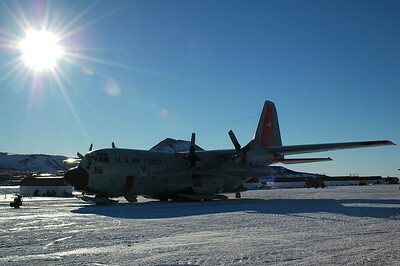 MCMURDO STATION: ANTARCTICA, Another trip in Ivan the Terrabus takes us back out to the skiway and we trade our large C-17 for a prop driven LC-130 for our 3 hour flight to the pole. 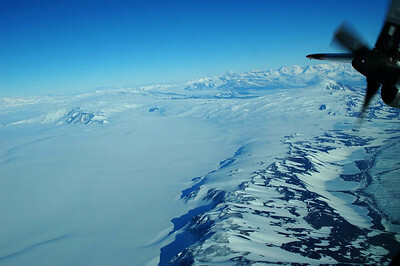 ANTARCTICA: Right out of McMurdo, we fly along part of the Trans-Antarctic Mountains. 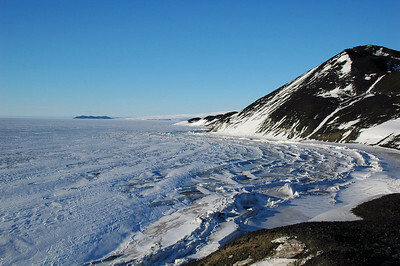 MCMURDO STATION, ANTARCTICA: Along the coast, pressure ridges form as the ice is pushed into the land. 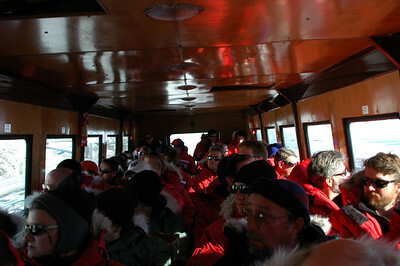 MCMURDO STATION, ANTARCTICA: All Aboard! 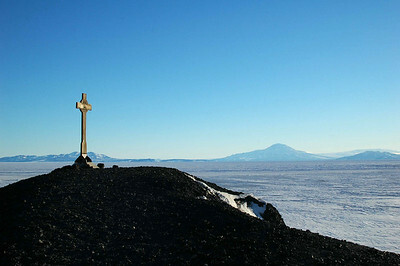 MCMURDO STATION, ANTARCTICA: And here we are! 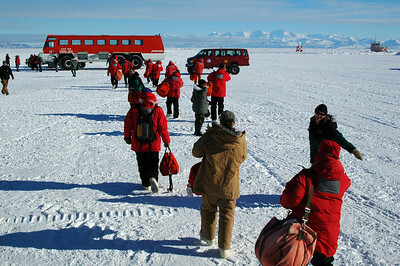 That big red thing is our ride, Ivan the Terrabus, from the the plane which landed on the sea ice just off the coast of Ross Island to McMurdo Station. 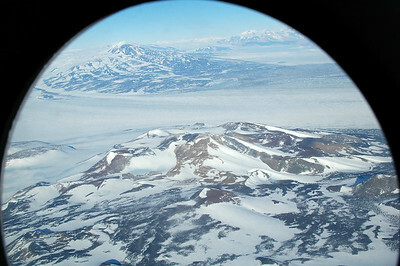 MCMURDO STATION, ANTARCTICA: Getting off the plane with a plume of steam coming out of the still active 3794m Mount Erebus. 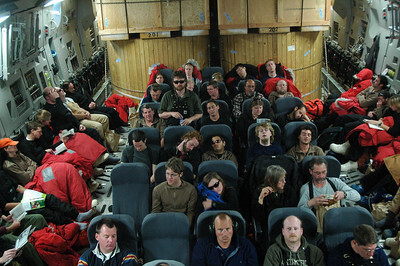 MCMURDO STATION, ANTARCTICA: All packed in Ivan like sardines on our ride from the plane to the station. 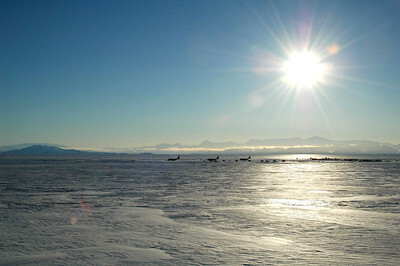 MCMURDO STATION, ANTARCTICA: A little after dinner walk to Hut Point looking over the white expanse of the frozen McMurdo Sound. 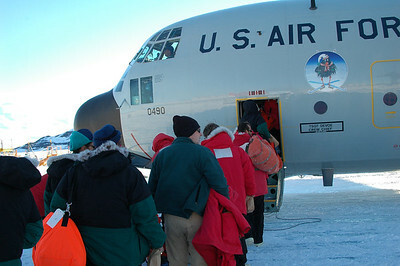 MCMURDO STATION, ANTARCTICA: The skiway is only active in the spring while the ice on McMurdo Sound is thick enough to support the weight of the aircraft and support equipment. In the summer they'll move to another air strip. 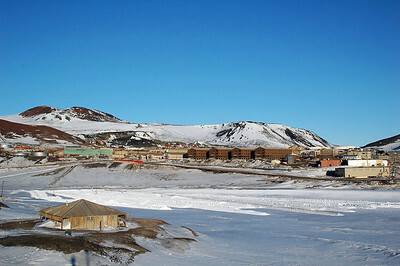 MCMURDO STATION, ANTARCTICA: Looking back at McMurdo station from Hut Point, with the hut of its namesake built by Scott in the early 1900's as a base for British Antarctic expeditions. ANTARCTICA: A view from the flight deck looking back... yup, the engine is still running. That's good. 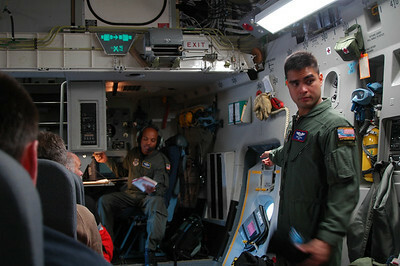 ANTARCTICA: Checking in with nav. Looks like we're going the right way... South!